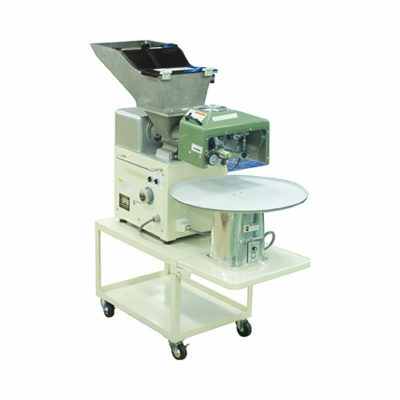 Compact Rice Cake Cutting Machines | Shinagawa Machinery Works Co., Ltd. These compact rice cake cutting machines make fast, precise work of the otherwise time-consuming process of cutting dough into rice cakes. Cut rice cakes fall down onto a turntable for easy removal. It’s easy to adjust portion weight using a beam sensor. Tool-less breakdown and reassembly serve to reduce cleanup times after use. These products come standard with limit switch-equipped safety covers for the cutter and screw. 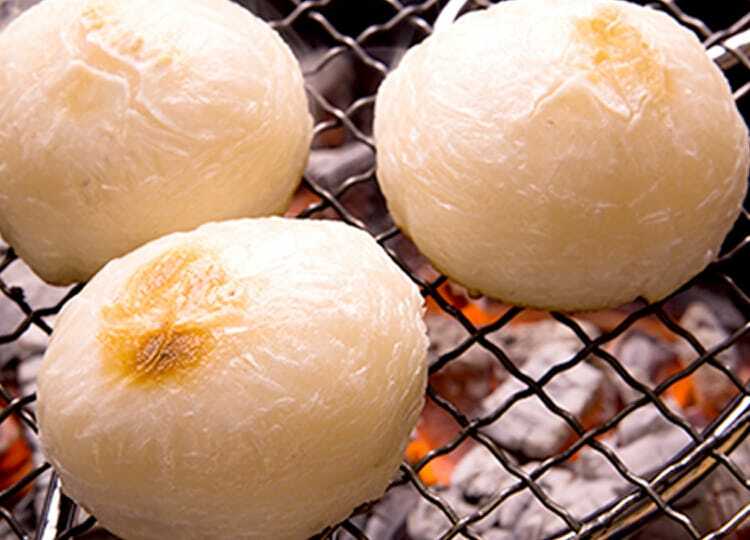 Carefully cut freshly made rice cake dough.